Before the industrial age, air was fresh and clean. Today, air is frequently dirt-laden. Did you know that your engine needs up to 10,000 gallons of air for every gallon of fuel it burns? Longer Engine Life: A new filter captures particles and dirt that could damage your engine. A clean filter will prolong the service life of your vehicle and save money. Better Fuel Efficiency: If your old car has a carburetor, replacing a dirty air filter will increase fuel mileage by up to 14%, while modern fuel-injected cars receive a 10% boost. You’ll also experience better acceleration. Lower Emissions: Clogged air filters creates an air/fuel mixture that’s too-rich, increasing emissions and fouling the spark plugs. Easy, Fast and Cheap: It takes but a few minutes to have your air filter changed, at very little cost. We recommend you replace the air filter every 12,000 miles, more frequently if you drive where the air is particularly dirty. 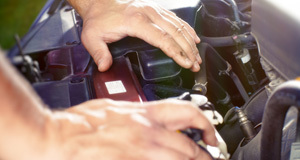 Many customers have their air filter replaced at every third oil change. Our factory-trained, certified technicians are very qualified to check air filters and replace them when required. They have the skills and experience to service all models and brands. They use the latest service equipment and diagnostic gear to do the work quickly and correctly. 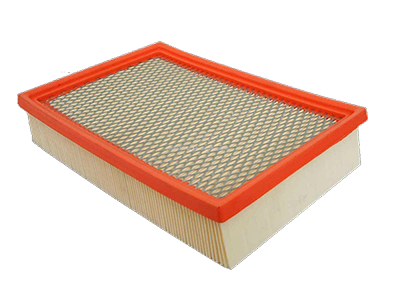 If a dirty or clogged air filter indicates your vehicle needs a new filter, we use only quality OEM (original equipment manufacturer) parts that conform to the manufacturer’s specifications. By using only OEM parts meant for your vehicle, we ensure that the problem is correctly fixed and that you don’t void your warranty. Cheap aftermarket parts can malfunction or break, threatening safety and causing costly damage. You can count on the expert technicians at our VW dealership to maintain your vehicle professionally, allowing you to enjoy peace of mind for many years. Bring us your car, have us install a new air filter, and know you are good to go!